In 1883, Claude Monet and his family moved to a house in the village of Giverny, where he will spend the rest of his life. This property had a large garden, which Monet immediately falls in love with. In his spare time, Monet used to work the landscape and, soon, this activity became his obsession. Most of his late paintings illustrate parts of this garden. The artist painted several of his series such as the Gardens, the Water lilies or the Ponds here under different weather conditions and outdoor light. Inspired by the paintings of Hiroshige, Monet asked his workers to build a Japanese bridge over a pond to cover it with Japanese wisteria, a pastel purple vine. The Japanese bridge then becomes another of his favorite motifs and painted several pictures of it. The canvas of 1924, although not very pretty, is perhaps the most interesting. The bridge can hardly be distinguished from the rest of the composition. We only can see something curved, but without any details. 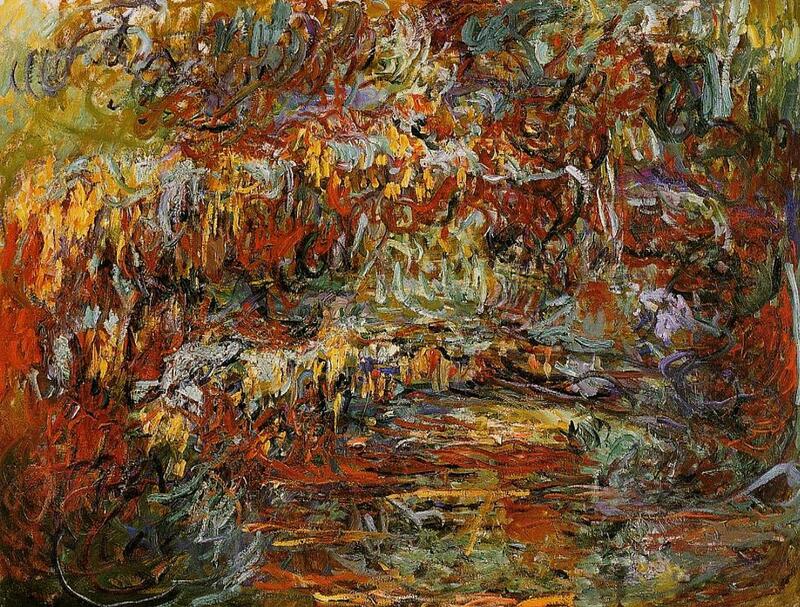 This is one of the more abstract works of Monet, although he never proposed to do so: the artist was losing his sight and had just recovered from a cataract operation. That’s why the tones are that reddish: the perception of this color is one of the symptoms of the condition. ~ by Álvaro Mazzino on November 22, 2011. Love the art and the article. Found this blog very interesting,loved the art. Found this blog enlightening,good going. Interesting site,would like to see more information. Great post,Monet is an inspiring artist. Monet was the artist who inspired me to pick up a paint brush. Great to read about Monet and see his work. Found this site really useful for school. Enjoyed learning a little more about Monet. 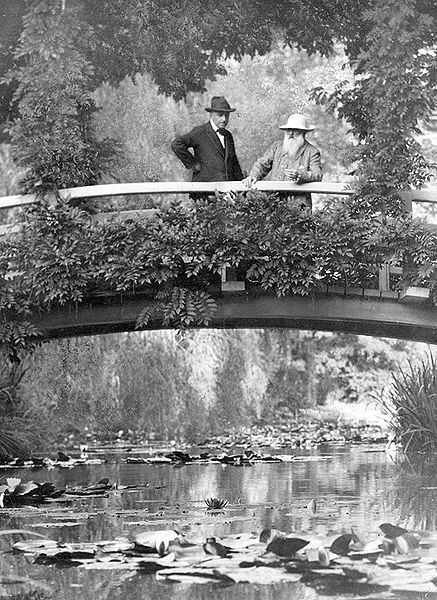 Great seeing this snapshot of Monet life. It would be interesting to learn more. This entry was posted on November 22, 2011 at 16:23 and is filed under Impressionism.You can follow any responses to this entry through the RSS 2.0 feed.You can leave a response, or trackback from your own site.